There's no better way to earn Westgate Rewards than by simply sharing the joys and amenities of a Westgate Resorts vacation with your friends and family. The more you share, the more you can earn. Meanwhile, your referrals will enjoy exclusive vacation discounts and the opportunity to create their own dream vacation memories. 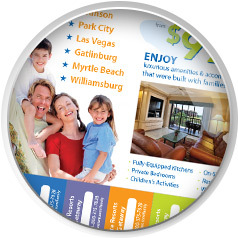 Generating referrals and earning Rewards is easy when you utilize a wide range of professional, ready-made marketing materials. Get started by downloading and printing your own customized handouts and bulletin board materials. 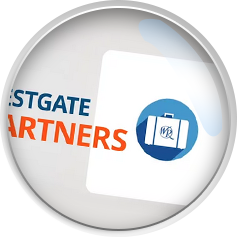 Start earning Rewards by sharing special Westgate vacation offers with friends and family through email and social networking. 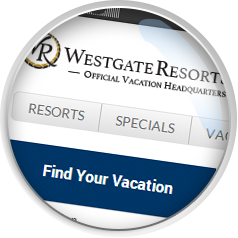 You can share exclusive Westgate vacation banners via Facebook, Twitter, email or your own personal website. Sharing offers is easier than ever with your own personalized URL. Post your personal link on Facebook, Twitter or email to generate referrals and earn Rewards. When referrals click your personal URL, they’ll enjoy access to Westgate’s most current and best vacation package options. Every time they click, your personal URL ensures that your account number is automatically attached to every sale. So you’ll automatically receive credit for any Rewards earned. 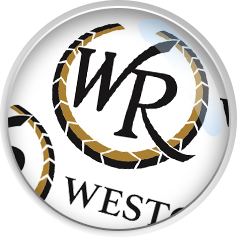 Upgrade from Westgate Rewards to the powerful Travel Partners program and EARN even more! While there is a small, one-time upgrade fee of $99, you’ll earn that back when just one of your referrals purchases a Westgate vacation package. While the Rewards program offers nothing for a vacation package purchase, the Travel Partners Program pays you $50-$75 for each. In addition, when a referral becomes a new owner, you’ll automatically receive the maximum $600 reward. Watch Your Rewards Add Up!